I am Sidhartha along with my brother Subhrakant, both are younger brothers of Suvendu Raj Sharma. My brother has been diagnosed with cancer for third time and this time it is even more deadlier. In this test of time, we are seeking your kind help to fight this deadly disease. We can still remember that unfateful night of 2008, when we all came to know that Suvendu was diagnosed with Adenocarcinoma of the Stomach (Stomach Cancer). We never had an idea that something which started with minor complications like severe stomach pain and vomiting, could lead to this terminal disease. 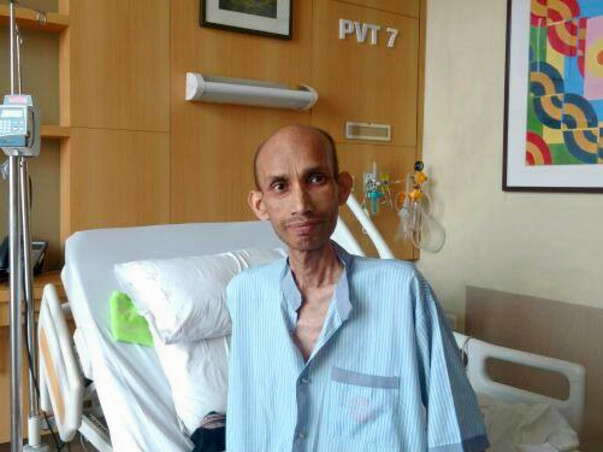 He was soon followed by six pre and post chemotherapy sessions while being operated on Partial Gastrectomy (40% of his stomach was removed) at TMH (Tata Memorial Hospital), Mumbai. His life was sailing smoothly till late 2013, when things started shaking again. After returning from Denmark completing the project related assignments, his gallbladder was removed due to the presence of gallstones and its related health complications. 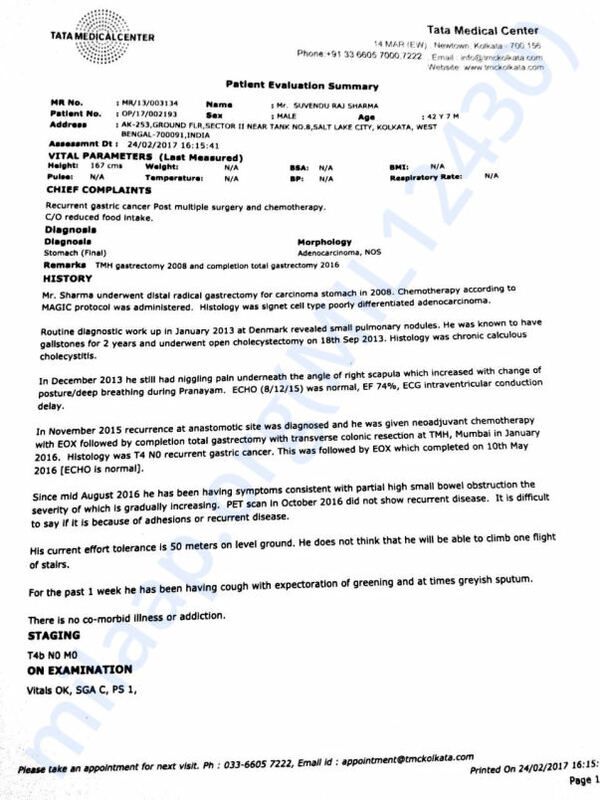 In midst of Sep 2015, doctors at TMH again discovered the presence of cancer cells in remaining part of the stomach while performing a routine checkup. 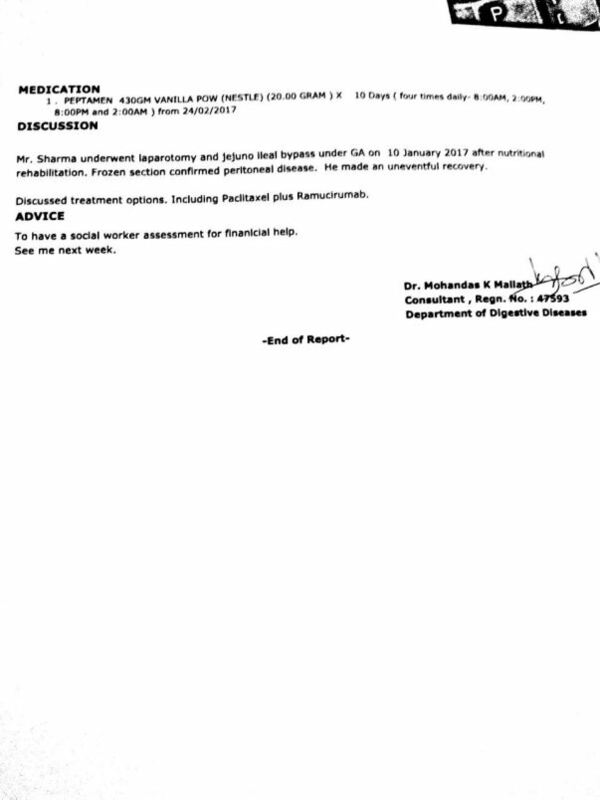 They advised to undergo Total Gastrectomy i.e. complete removal of the stomach. With all vigor and a smile, he underwent the surgery in January 2016. This was followed by six painful chemotherapy sessions. Then again, when we started believing that he is recovering, something more uneventful was already written by destiny. The post-surgery complications started in mid-2016 with internal blockage of the intestine, high fever, and frequent vomiting. Even he was not able to swallow a spoon of water. He started losing his weight drastically up to 35 kgs. 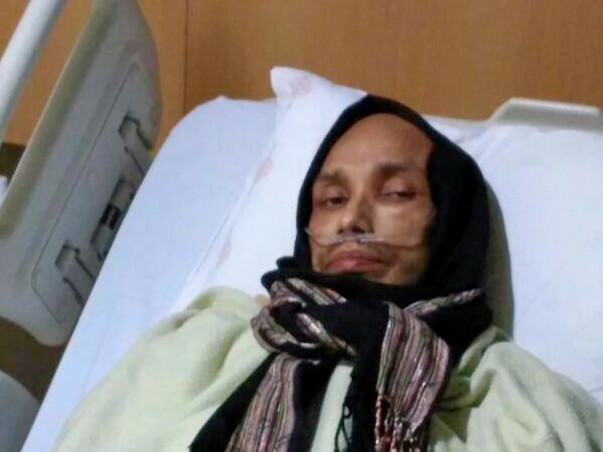 As the condition worsened, he was admitted to ICU at TMC (Tata Memorial Centre, Kolkata) in Dec 2016 and remain admitted for a period of 50 days. His health started to take a toll as he caught up with acute pneumonia followed by severe chest infection and vertigo. After staying in ICU for almost 2 months, the doctors were hopeless about the success of surgery and asked us for a discussion. Despite the utmost risk, we went for the surgery as we were left with no other options. Pre-surgery, all medical reports were normal and the surgery was done just to remove the blockage. But we were completely heartbroken when the doctors intimated us about the presence of cancerous cells in the intestine just after the operation. The disease has now spread to the small intestine. Friends, we believe in almighty and his miracles. Suvendu has been a constant fighter and his fight with cancer from 2008 to till date is beyond imagination. 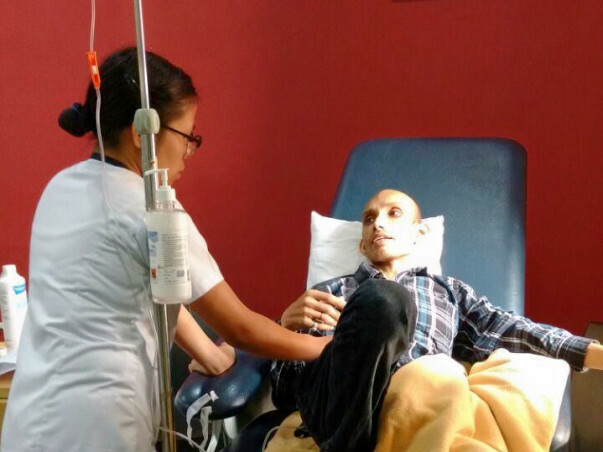 The doctors have advised us to go for Targeted Chemotherapy, which in itself is new in India and cost is more than 3 Lakh Indian rupees per session. We don't know how many sessions will be needed for his cure. Nobody has seen the future and no one can predict the consequences. But the way still my brother is fighting with this disease, is in itself an inspiration for everyone. We, as a whole family, need your kind support. I am pretty sure that almighty will definitely listen to all of your selfless prayers. I thought of sharing this lengthy entire journey with you all so that you can understand and be part of his fight and be his strength in this need of the hour. We are exploring the best medical treatment available in India for him. As per the doctors' estimation, the whole treatment may reach up to 3000000 INR(45000 USD). So, It’s my kind request to all generous people out there, to contribute in their utmost capacity to fund for his treatment. We will never surrender, and we along with him will keep fighting till he beats this disease fairly. We are in this thick and thin. If the contribution is not possible, kindly pray for his recovery and spread the word and share this link with your peers, friends & family members, at least they can contribute to the cause. You can help him by sharing the below link in whatever social site you use. It may be Facebook, WhatsApp, LinkedIn, Twitter, personally mails to any NGO or helping people, etc. All the contribution will be directly utilized for his treatment. I will keep updating this space with the medical progress in regular interval. Thank you, friend, for your kind prayer and contribution. Thank you so much. Let's be a part of his fight. May God bless you all. It is with deep sorrow and agony; we inform you the sad demise of Suvendu on 30th April 2017 at 10:30 AM at Tata Memorial Centre, Kolkata. We sincerely thank for your kind support, you have extended at the time of distress and plight of our family. We express our gratitude for the same. We request you to keep him in your prayers for his soul to rest in peace. It's been a very tough time for the all of us. From Last one week, Suvendu has been admitted to the hospital due to severe health issues and doctor is keenly monitoring his conditions. The condition is so critical that he is not able to move from bed. Due to lack of food intake, the whole body has swollen. Now he is only on clear liquid and saline water. There might be chances that he needs to be in the hospital under doctor's supervision for upcoming days. Since the daily expenditure is too high it's too difficult for us to manage the financial burden. We seek your kind support for the cause so that we can provide the best possible treatment to Suvendu in the coming days. Please keep Suvendu in your prayers. He needs that the most. Kindly contribute to the cause to the best of your ability and spread the cause among your near and dear ones so that we can fight this difficult time with great vigor. Suvendu has been again admitted to the hospital on 15th April second time in this week after the condition has worsened. Due to the chemotherapy, the condition has deteriorated drastically & because of severe vomiting, we had to admit him to the hospital. He is now in doctor's observation and the doctor is keenly monitoring his condition. He is now only on clear liquids and saline. Friends, we need your kind support in this critical time. 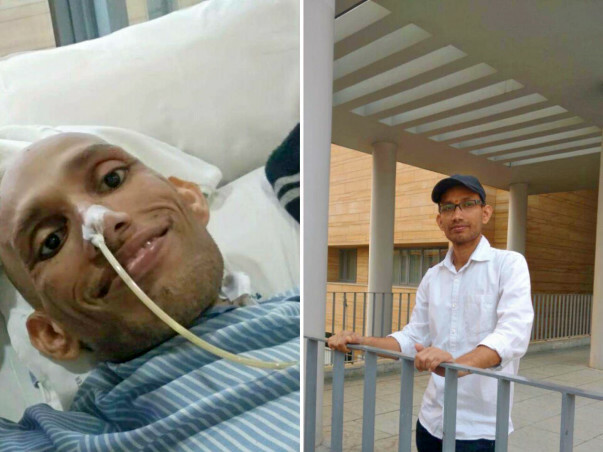 Kindly extend your support to best of your abilities so that we can arrange maximum funds for his treatment and reach out to the maximum number of people. I will be updating this space in future.